I love scones, never tried to make them on my own until this day! They were an amazing success. You really should try these, they were gone so fast!! rise if your kitchen is cold. then roil it out into a large rectangle, about an inch thick. strips and then each strip into 4 pieces. rise heat the oil to about 350 degrees Fahrenheit. 9. Put in the dough cook on each side until golden brown. Then set on a paper towel, to absorb the oil. 10. Then add your favorite honey butter and Eat Up!! I'm assuming you use your dough hook in the stand mixer? Yes, use the dough hook! These look absolutely wonderful, I could use one right now! 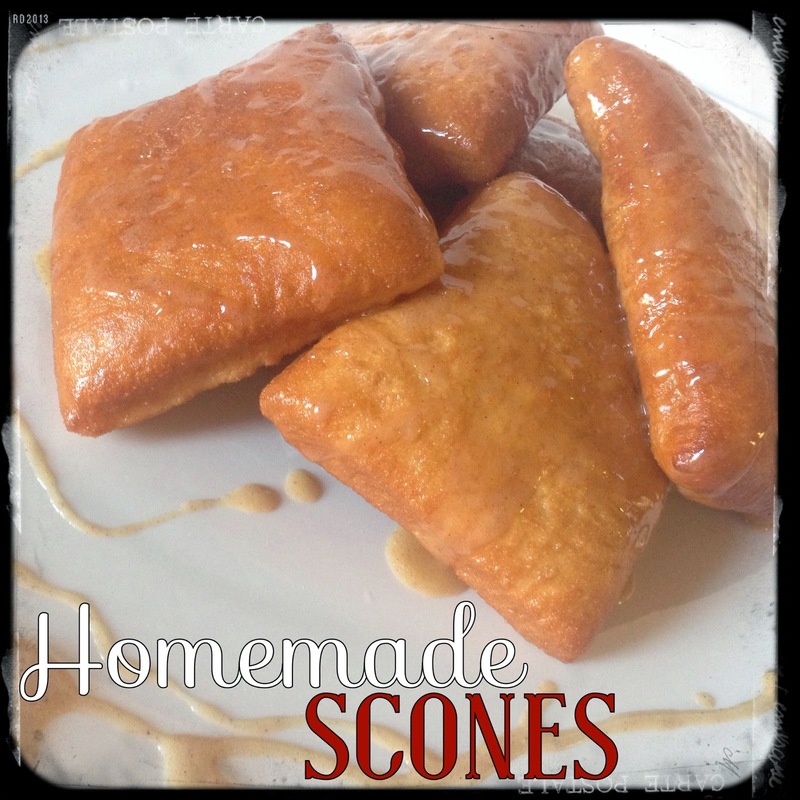 These look amazing and so yummy…making me want to make some now!! Thank you for sharing your Scones look awesome!! We love scones…yours look amazing. WOW!!!!! These look incredible!!!!!! Pinning! Homemade scones! How awesome that you can make these right at home. They look amazing. Thanks for sharing with us at the Creative Style Linkup! These look yummy! Thank you for sharing at What We Accomplished Wednesdays. Have a great week! Can you believe I've never even ate a scone, let alone made them? Your's look like they turned out really yummy. Thank you for joining us at Friday Frenzy. We loved having you at the party, and cant wait to see what you share with us next week! They look delicious! Thank you for joining Home Sweet Home!